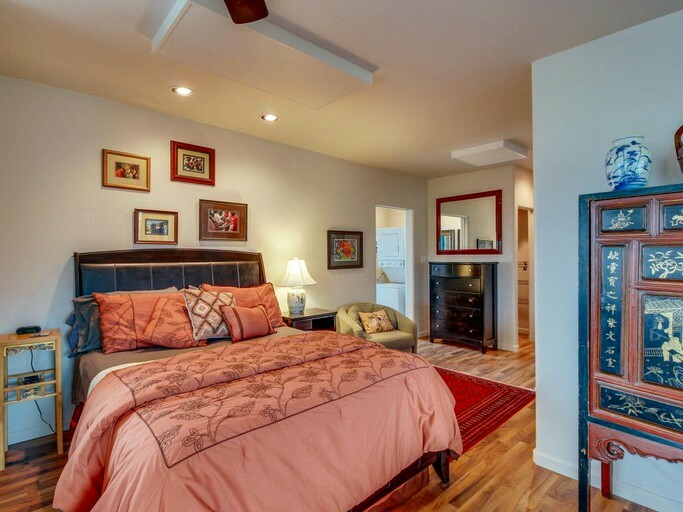 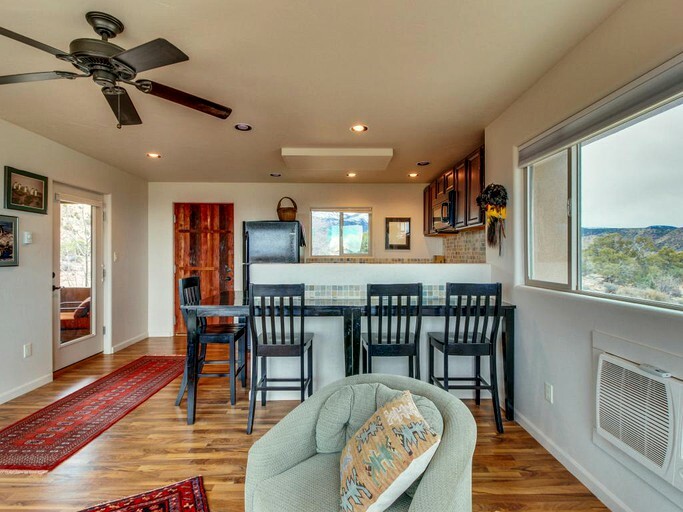 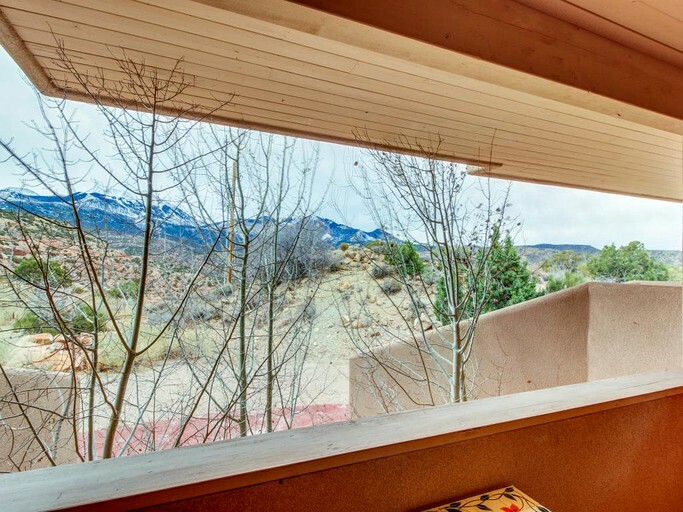 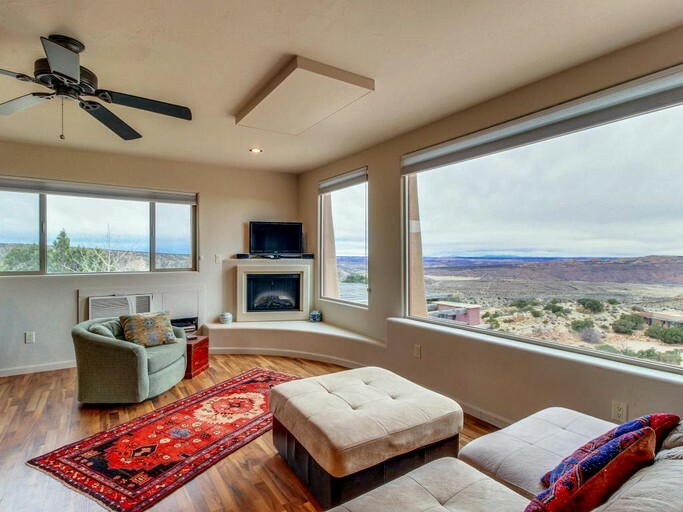 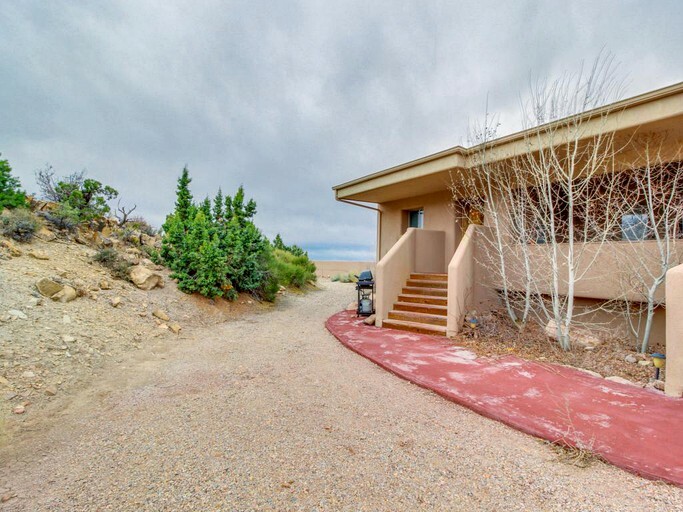 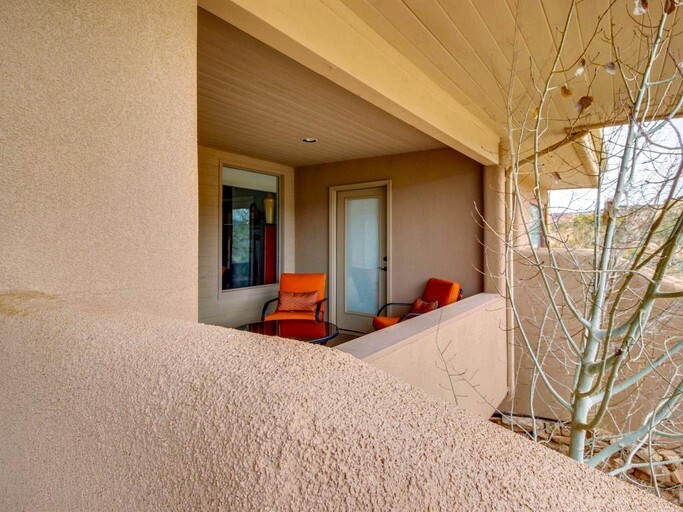 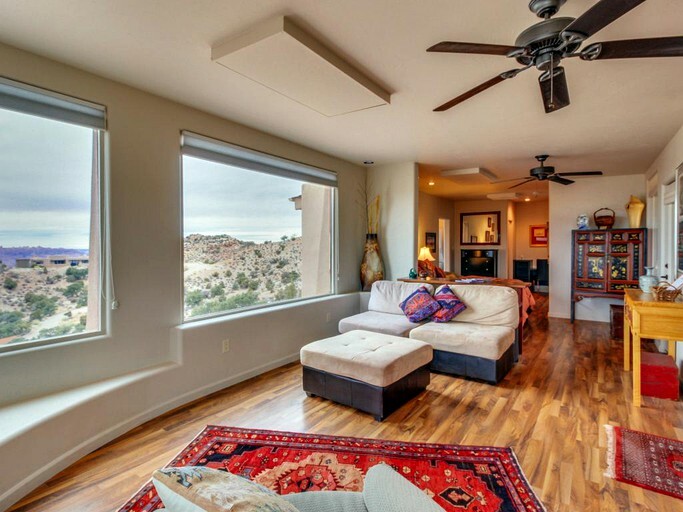 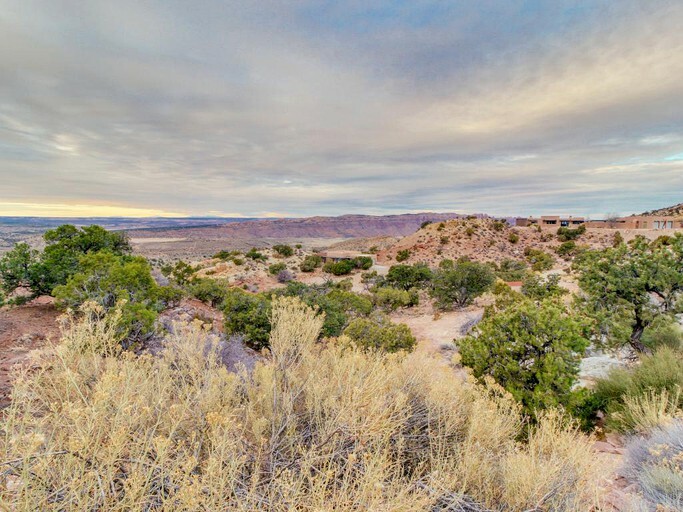 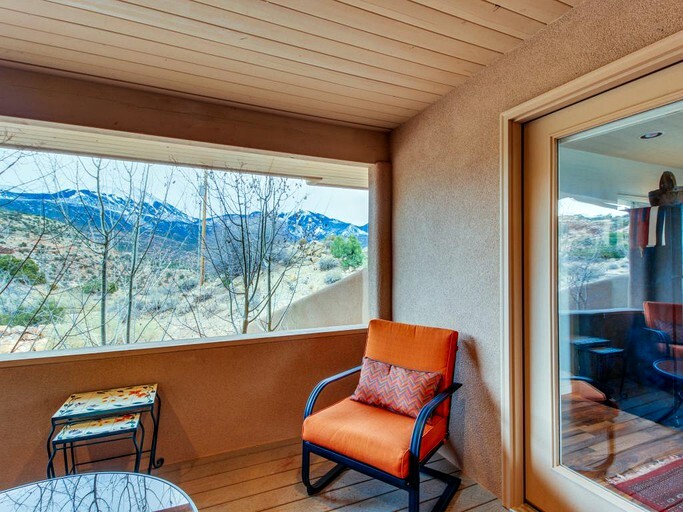 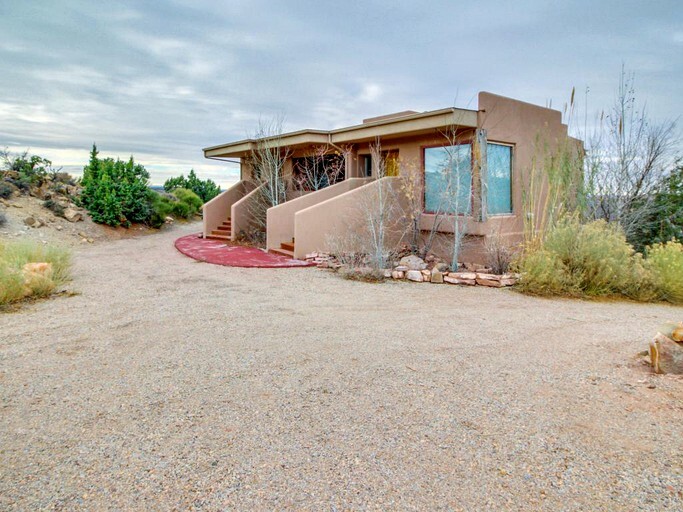 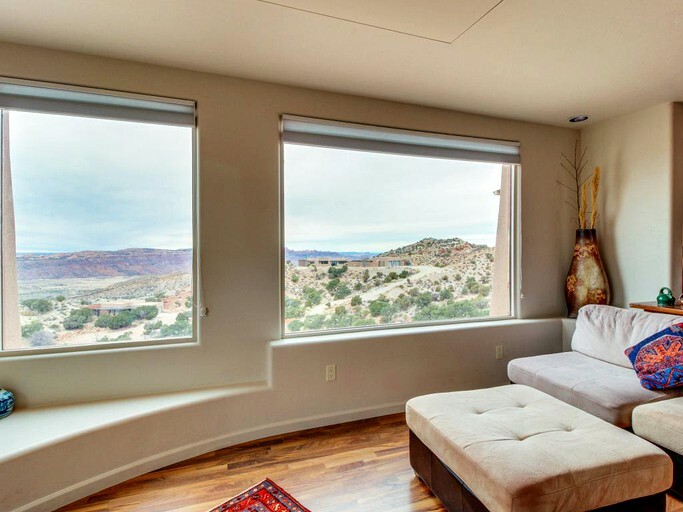 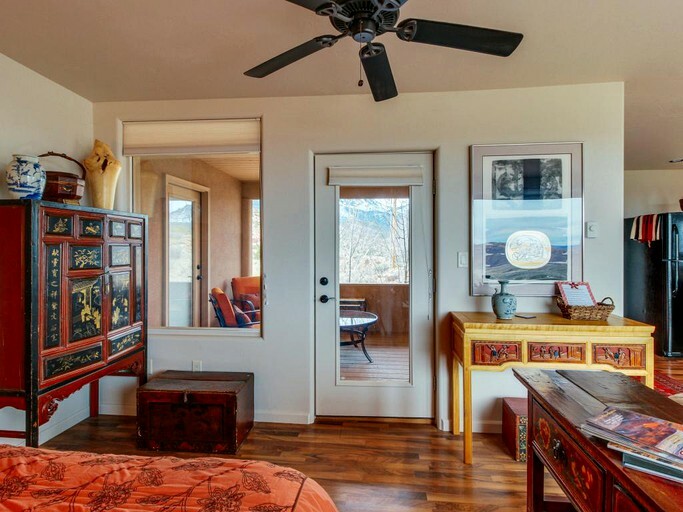 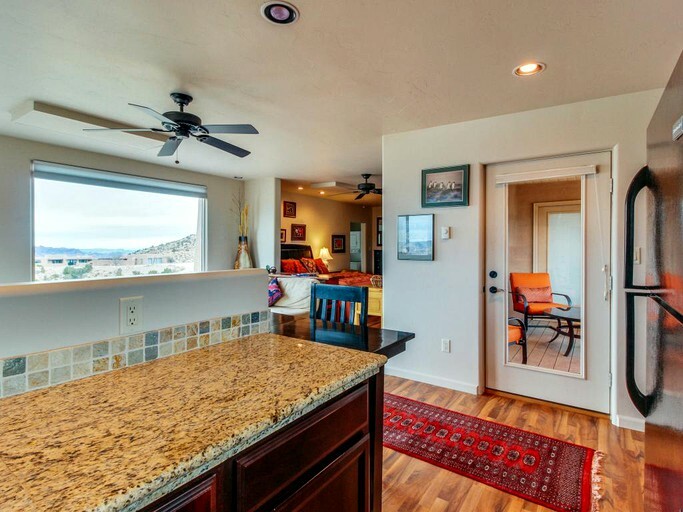 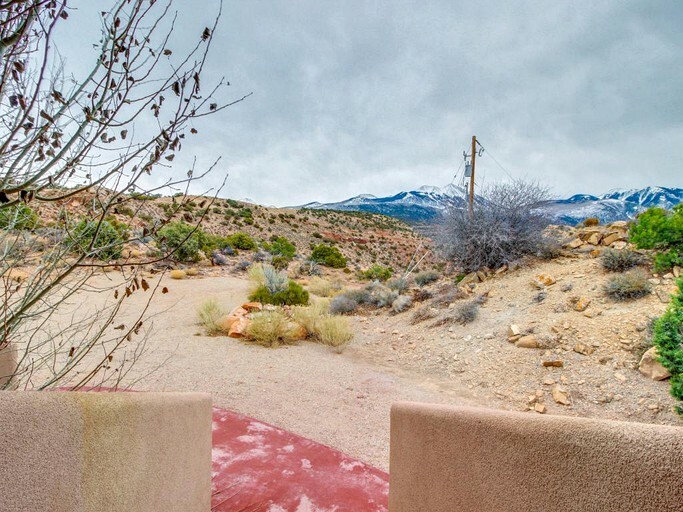 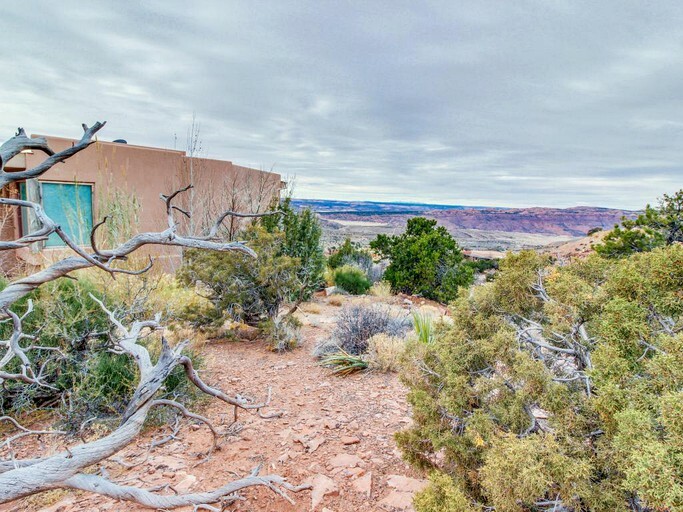 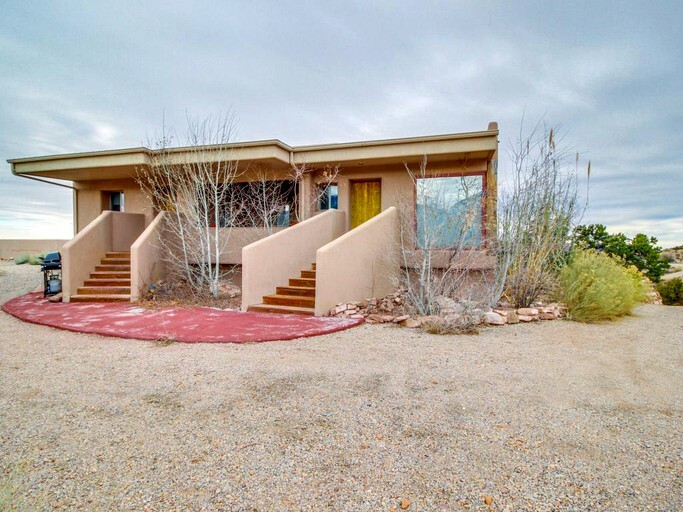 This modern studio is located in the foothills of the La Sal Mountains near Arches National Park in Moab, Utah, and can accommodate two guests. 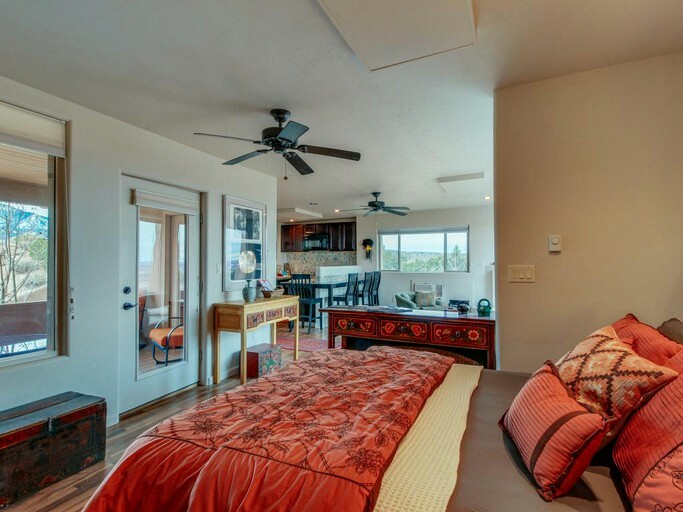 In this open-plan and stylish space, there is a bedroom area with a queen-size bed. 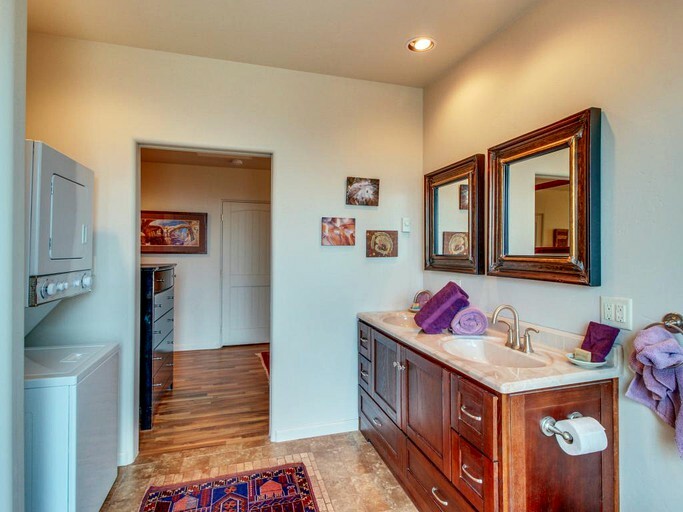 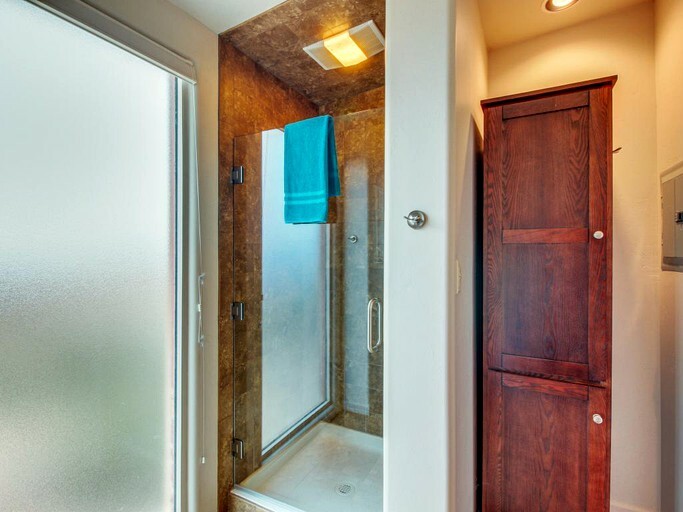 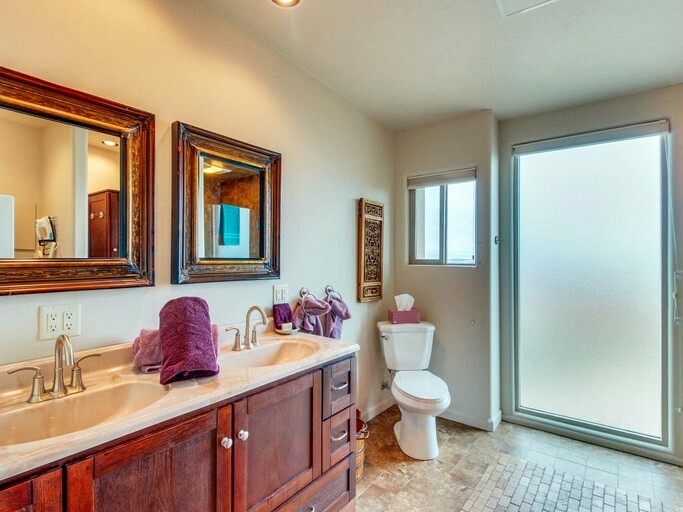 There is also a large bathroom with sinks, a toilet, and a shower. 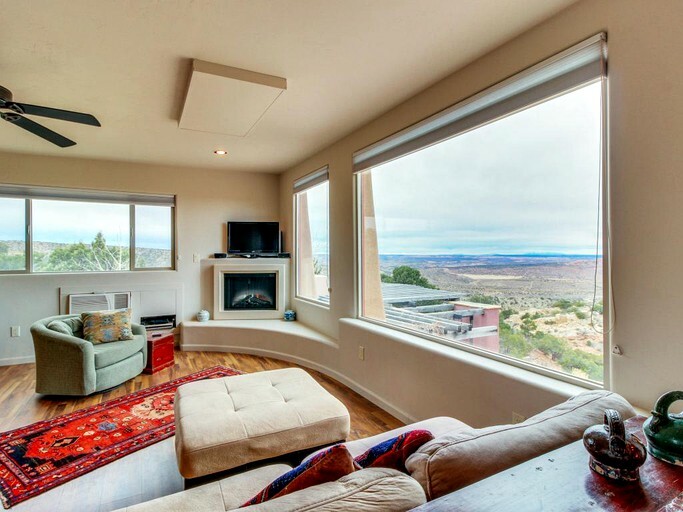 The modern living space has a gas-powered fireplace for cool evenings and comfy sofas to enjoy the panoramic views of the mountains. 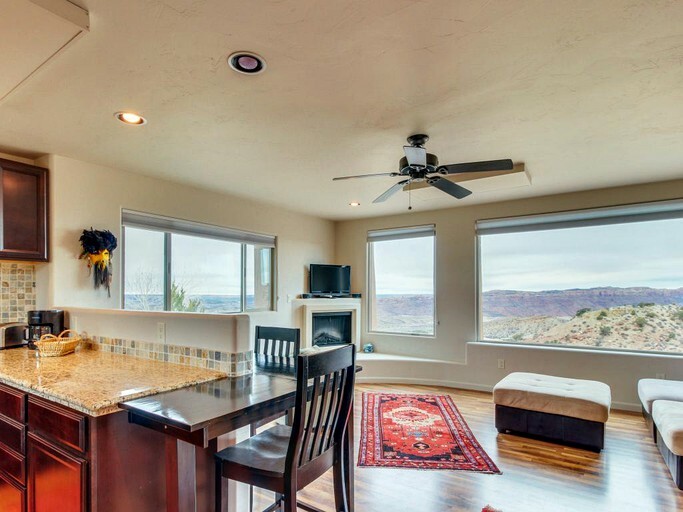 There is also a flatscreen TV and a dining table for a romantic meal. 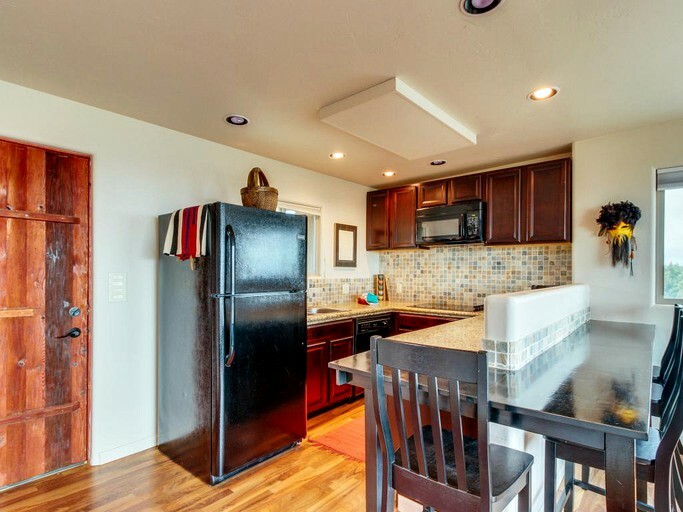 The open kitchenette has plenty of appliances such as a built-in cooktop, a refrigerator, and a microwave oven. 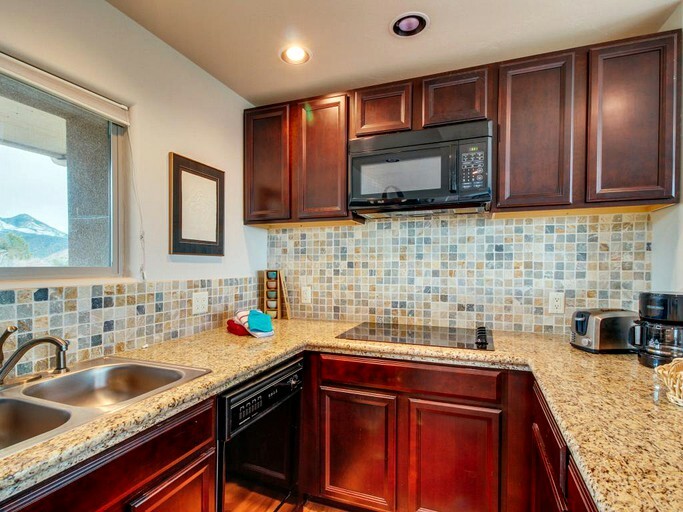 There is also a breakfast bar to enjoy a coffee in the morning, but guests should please note that there is no oven. 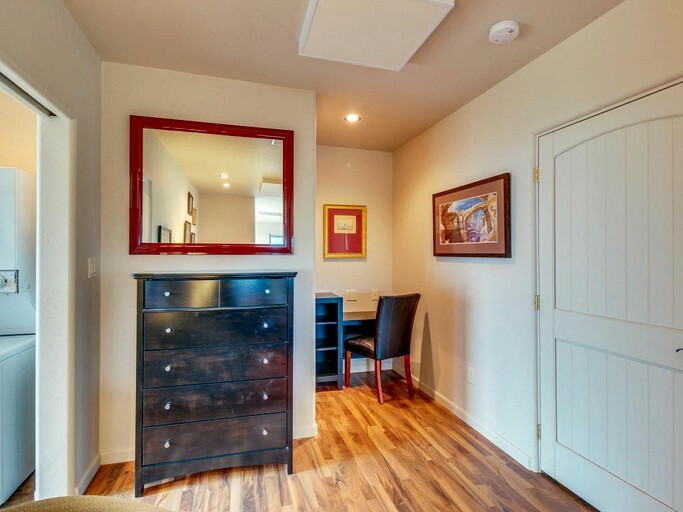 Other amenities include private laundry facilities to keep your clothes fresh and satellite TV channels. 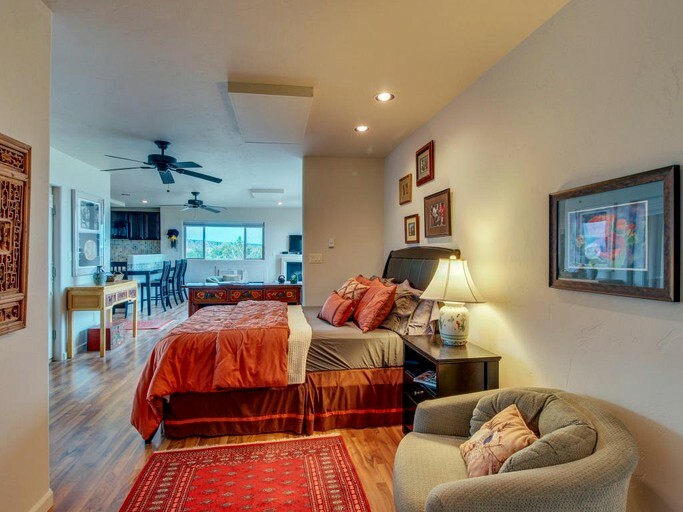 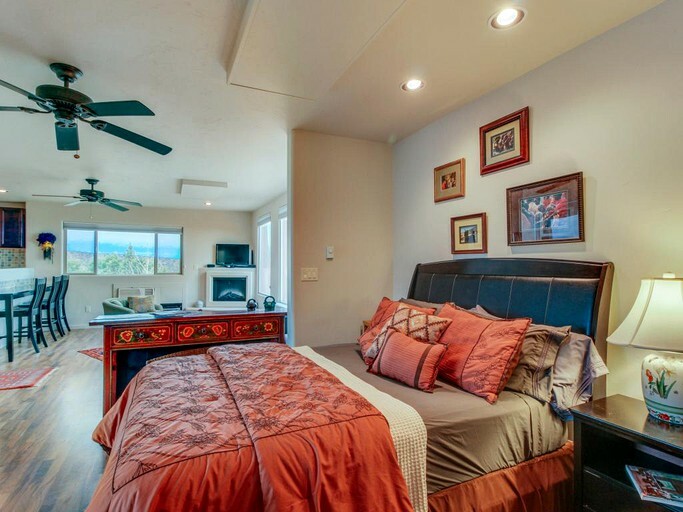 There is access to Wi-Fi, cable TV, and private laundry facilities. 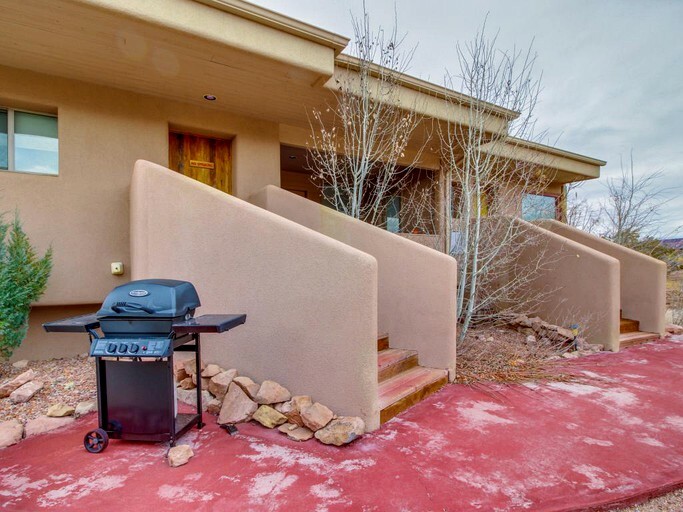 There is also an outdoor deck with a BBQ grill, and a cozy balcony to watch the sunset over the stunning mountains. 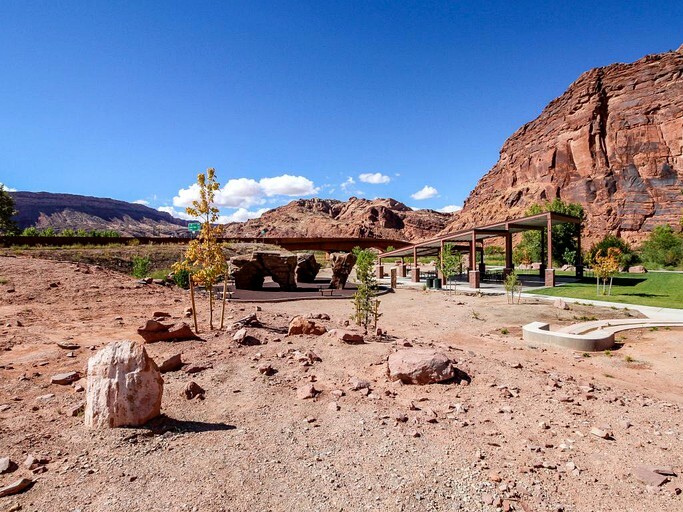 Guests will also receive a 20% discount off golf fees at the Moab Golf Club. 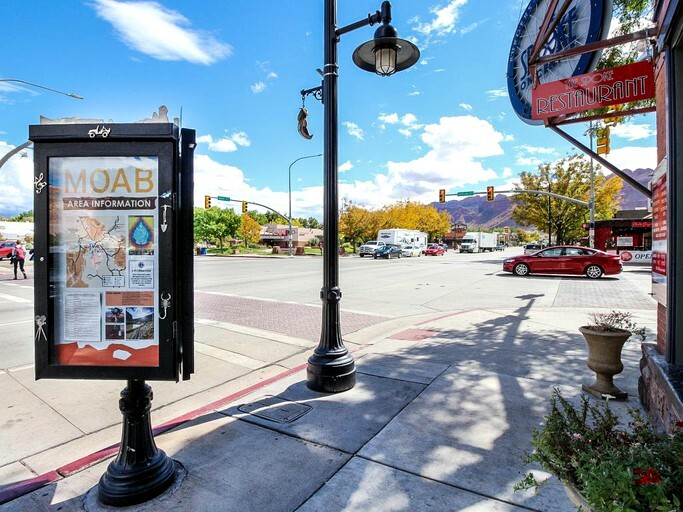 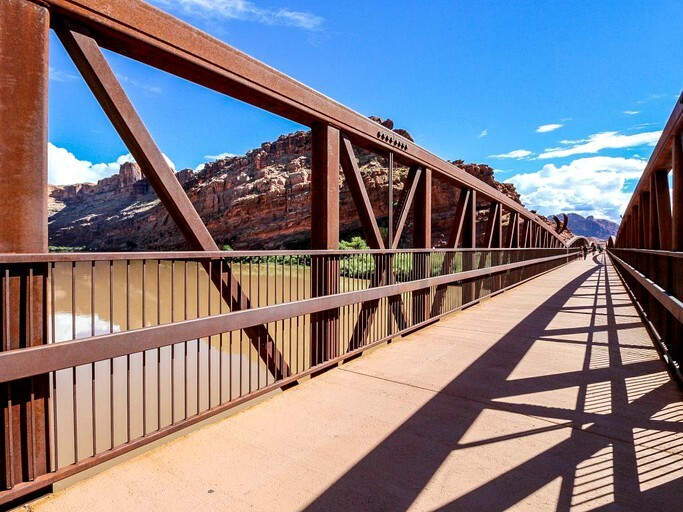 In downtown Moab, there are plenty of museums, restaurants, and shops to enjoy. 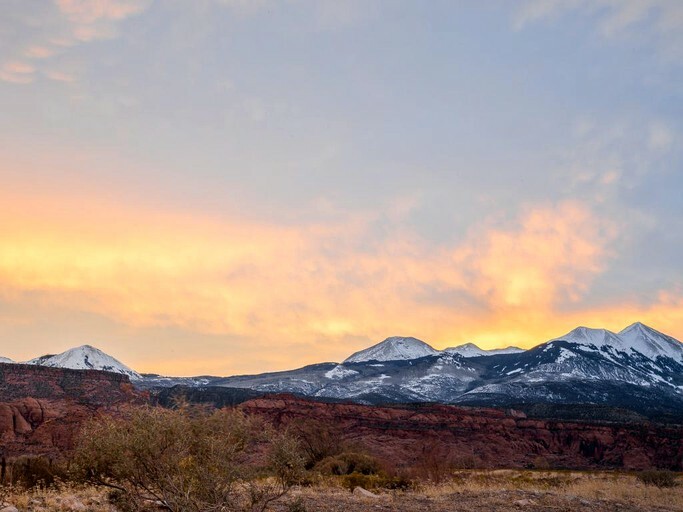 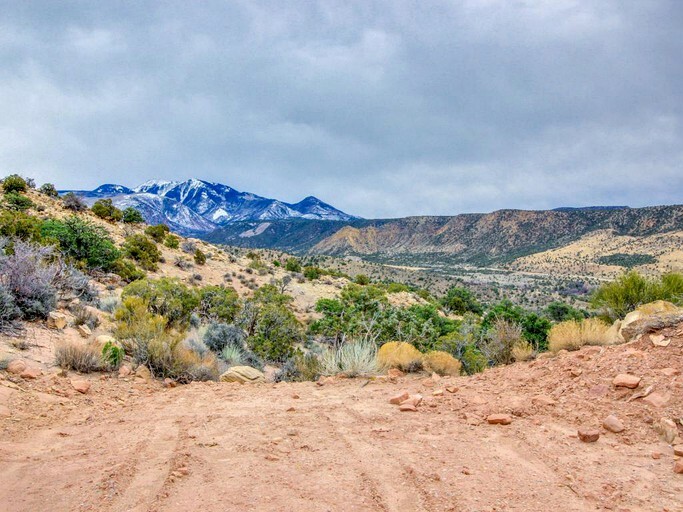 The area surrounding Moab is also an extremely popular place for adventurous guests. 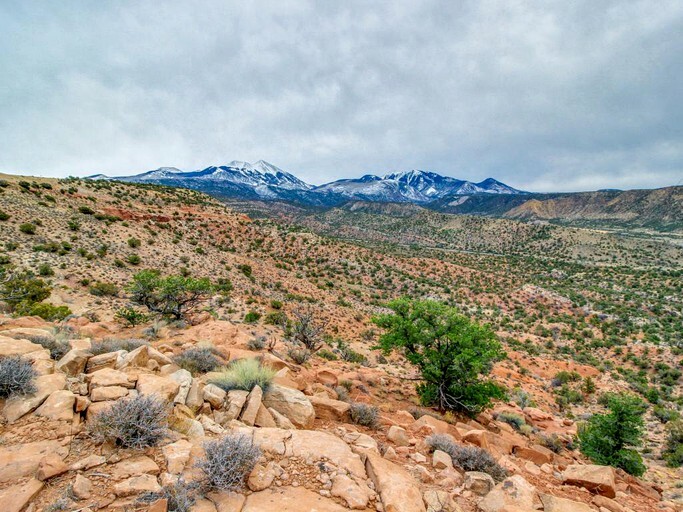 There are various hiking trails in the national parks, which are great for all ages and levels. 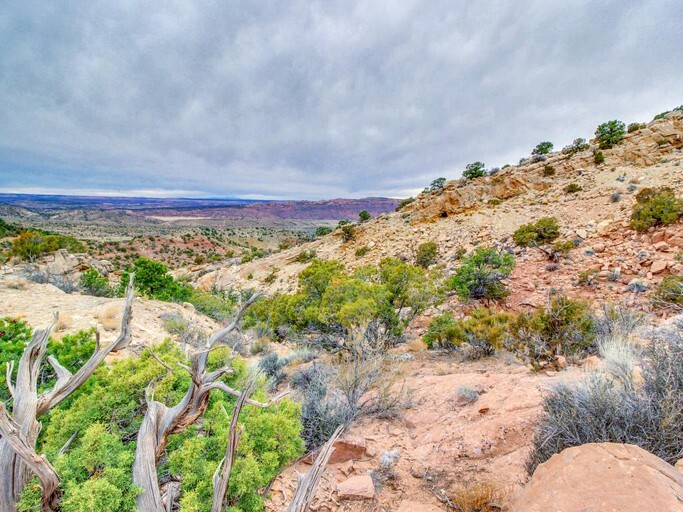 In Arches National Park, guests can visit the world-famous Delicate Arch, as well as thousands of natural sandstone arches. 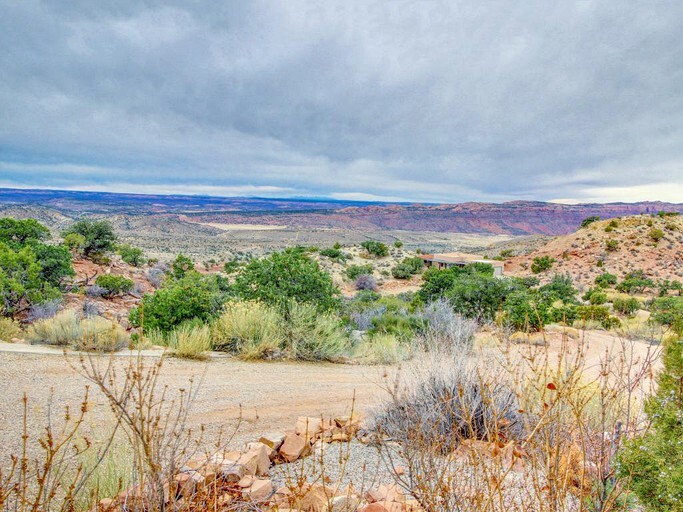 At Canyonlands National Park, guests can see the breathtaking Island in the Sky, explore the Backcountry on horseback, or take their four-wheel drive for a thrilling off-roading experience. 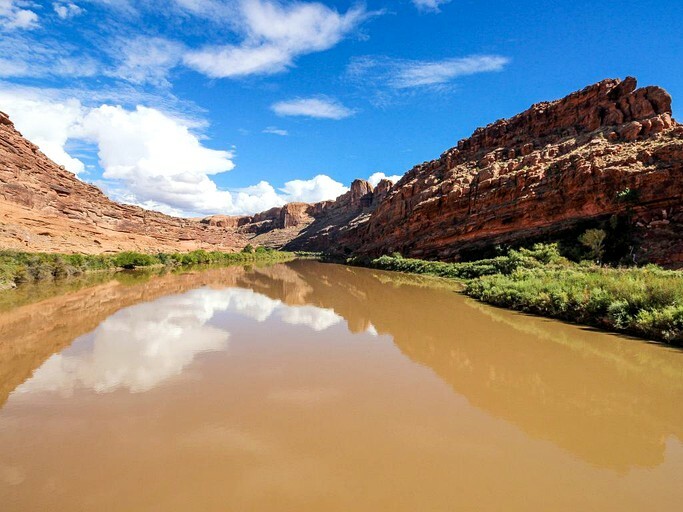 Water sports can also be practiced in the Colorado River, which flows right through the valley. 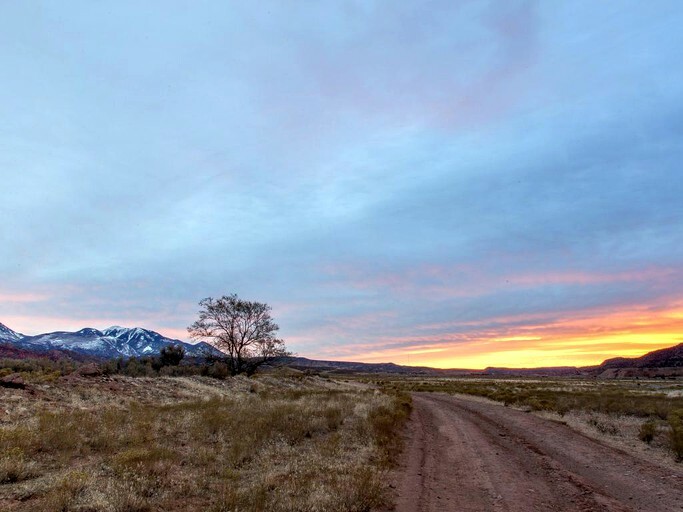 Guests can go water rafting on the river or drive south to Spanish Valley's Ken's Lake for kayaking, swimming, and fishing.